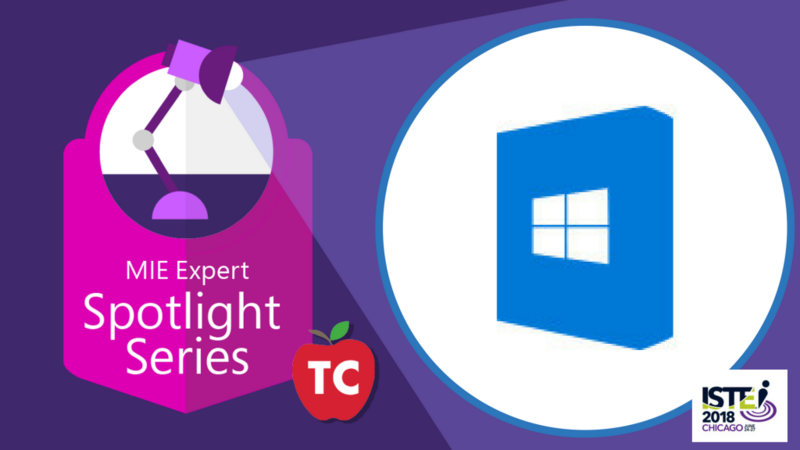 What Can You Do With Windows 10 This School Year? This year at ISTE, I had the opportunity to sit down with the Windows Device team at the Microsoft Education booth. Shindy and Javier talked with me about the power of inking, and what advantages it brings to the classroom. Ever since the big keynote address in New York last year, I have been extremely impressed with how much power is being put into classroom level Windows 10 and Windows 10S devices. I am totally convinced that students with a pen in their hands have an advantage over students only using a keyboard. Why should schools upgrade to Windows 10 S? Should students use devices with inking? Is inking a simple substitute for the traditional pencil? What advantages does the Edge Browser bring for classroom teachers? Shindy has the honor of being able to speak with and visit school and IT leaders, and students from around the world. Shindy is passionate about enabling student learning through technology and bringing stories of digital transformation to light. How are Windows Devices being used in the classroom? How are you using YOUR Windows 10 devices? We would love to capture your story about how you are delivering creative and collaborative lessons to your students. Please leave a message below and share your story with us.